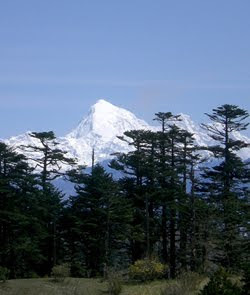 The Piyajātika Sutta (MN 87, PTS ii.106) is a text which appears to buck trends. The Buddha is portrayed in a way which seems to suggest that he could be quite hard headed. That's it, that's just it! From the beloved comes grief, lamenting, misery, dejection, and trouble, [they] arise from the beloved. The man is dismayed to hear this and counters that as far as he is concerned that the beloved is a cause of delight and pleasure (ānandasomanassa). He leaves the Buddha dissatisfied and finds some gamblers who confirm his views that the beloved is a source of happiness. Gamblers in these kind of stories represent the worst elements of society, they are casually and carelessly immoral. 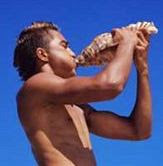 The story eventually reaches ears of King Pasenadi of Kosala who's wife, Queen Mallika, is a Buddhist. He is disturbed by the story and his wife's acceptance of it. He accuses her of just agreeing uncritically with whatever the Buddha says. So Mallika sends a Brahmin to question the Buddha directly, and the Buddha confirms that it is his position that the beloved is a source of grief etc. Mallika explains the meaning of the teaching to the king by pointing out that he is very fond of Princess Vajirī and asks if she became ill and died, would he not be distressed. 'Of course!' he answers. Similarly with other people he loves - a son and general, another Queen, the land of Kosala itself - and it dawns on him that the Buddha is right and indeed the beloved is the source of misery. Readers may be more familiar with the story of Kisāgotamī who has also lost her baby. In the oft told story the Buddha uses a kind and gentle strategy to bring Kisāgotamī to the realisation that her baby is not sick, but dead, that there is no medicine in the world that can cure death, and that death comes to everyone. Few people know however that this version of the story is not canonical, but commentarial - it's fullest telling occurs in the Dhammapada Atthakatha - ie it dates from many hundreds of years after the Buddha. Even so the contrast with the Buddha's response in the Piyajatika is strikingly. Here is uncompromisingly direct and unsentimental, and appears to fail to communicate successfully with the distressed man who has lost his son. This makes me think that he is a straw man - someone thrown into the story in order that the King, the real object of the story, may be seen to learn something about the beloved, that is I don't believe the Buddha was literally so unsympathetic to human grief. Surely there is a contradiction here? On the one hand the love of a man for his only son is a source of misery, and the Buddha tells him that his very love is the problem; while on the other hand the Buddha recommends that we love all beings just as a mother would love her only son. Note here that the Mettā Sutta recommends universal love. Mettā is like the love for a child, but it is different because it is not exclusive. While pursuing this ideal of universal loving kindness something emerges which is not like the one-to-one love between mother and child. Mother-child love for all it's beauty and necessity, and romantic love, lead to attachment. The beloved or even love itself are treated like possessions - love can be lost for instance, or taken away. And when the object of love leaves or dies it is as though we have lost some-thing. It is the loss of something, or someone that we are attached to which is so painful. Attachment means that we persuade ourselves that we will have the beloved always, that they will be 'ours'. But of course the beloved is never ours in this sense. Our attachment is based on a misunderstanding of the way the world works. Mettā on the other hand, because of it's universality, seems not to lead to attachment. Because mettā doesn't make distinctions it is closer to the truth of becoming and ceasing. Because we, ideally, love all beings equally, no one being is special. All are important, are unique, but we don't value one person over another. We value love itself. In romantic love, and even in the love of a child, we often look for a sense of completion - something about the other, the lover or the child - both of whom can be referred to as piya - seems to fill in the gaps in us. If we do find a lover, or have a child, then we can cease to see that we are incomplete while they are there. If they leave or die then we are suddenly thrown back on ourselves, onto our incomplete self. We feel as though part of us is missing, we grieve and mourn (sokaparideva). Sangharakshita has emphasised the need to become fully human - to, as it were, fill in our own gaps - before we can really make progress in spiritual terms. I've previously written about my own thoughts on necessity for a whole and healthy ego and also the problem of self preoccupation so I won't expand on these now. As I say the Buddha appears to have been entirely unsentimental on this subject. The beloved will not last, will not complete us, will not make us whole, will not in the long run make us happy. There is only one way to achieve something like this and that is through spiritual evolution. If our love can encompass all beings the way we want to love, or be loved by, the beloved - if all beings become our passion, our thoughts are filled with them, we wish only their well being and good fortune - only then do we begin to experience wholeness and contentment. 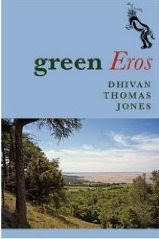 It seemed appropriate to use this post to highlight my friend Dhīvan's recently published novel Green Eros . In this book he explores love from a masculine point of view, powerfully and faithfully evoking the male experience of love and relationship. Dhīvan draws on both his doctorate in the philosophy of love, and his deep knowledge of Buddhist doctrine and practice, to spice the story with wise reflections on love. But in a single tear-drop of compassion are mirrored all the sorrows and miseries of the world. Love simply to sacrifice its own. This is a new translation, not simply a paraphrase of an earlier translation. I have attempted to use contemporary idiom and reasonably sensible English syntax. The original is in verse, but I haven't tried to reproduce the meter. The Karaṇīya Mettā Sutta occurs in the Sutta Nipāta (Sn 1.8 = PTS: Sn 143-152). I've speculated, in another post, that the sutta might once have stopped at verse nine, but an extra verse was added as a result of a lost metaphor. Or give the Wise cause to reprove you. To do so, it is said, is to dwell with god right here and now! You will surely not have to suffer rebirth again.